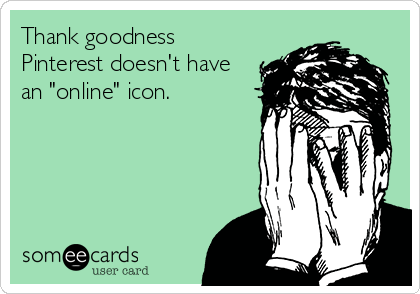 There are a lot of good ideas on Pinterest. There are also a lot of ideas that should either be left to the experts or that are altogether misleading. Sometimes the source material is not trustworthy, or sometimes someone has created a new description for a pin that is inaccurate or not representative of the content behind the link. 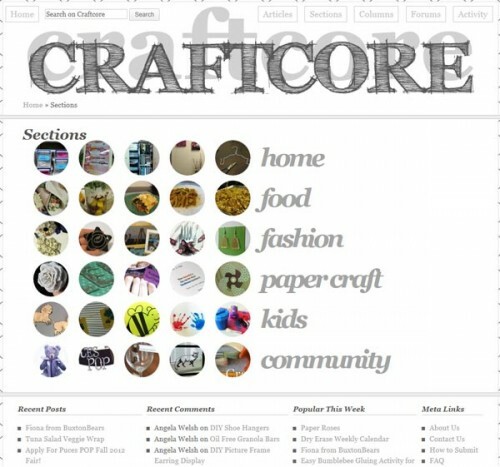 Before pinning, check out the source website and read the comments on the original article to see if others have had issues replicating the project. Sometimes, it’s hard to stop. With Pinterest automatically loading more pins when you reach the bottom, there’s never a good stopping point, unlike the end of the chapter in a riveting novel. You can tell yourself, “just a few more scrolls,” but not knowing if the next scroll could contain what could potentially be the pin that changes your life is hard to resist. It’s okay: close the window. You’ll see more pins tomorrow. It will still be awesome. 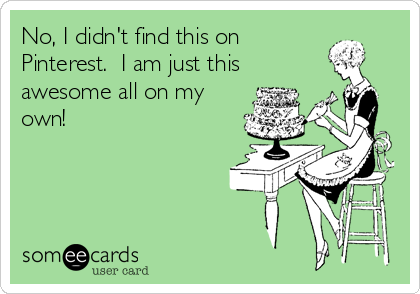 I catch myself starting a lot of sentences with “So I was on Pinterest last night…” There is a bountiful amount of ideas – so many that sometimes, projects can take over your regularly scheduled life. Remember to breathe, drink some tea, and enjoy the company of friends and family. 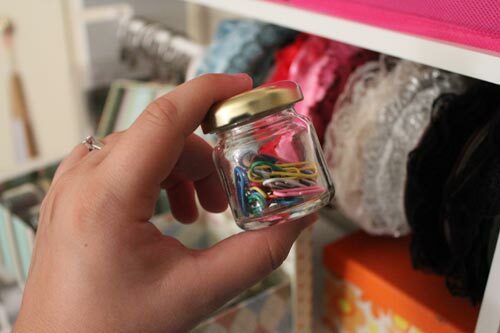 Your decoupage mason jars can wait, honest. 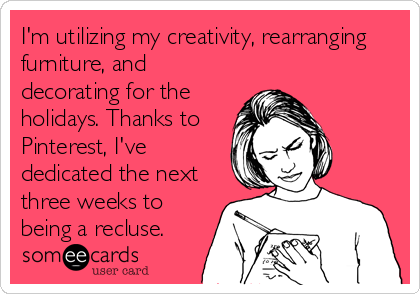 While researching ideas for my upcoming wedding (where I have pinned far more ideas than I could possibly every use proving I need to follow my own advice), I’ve seen a lot of pins described as unique. 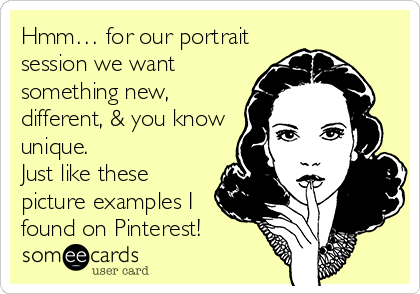 We are all using Pinterest to research wedding ideas. 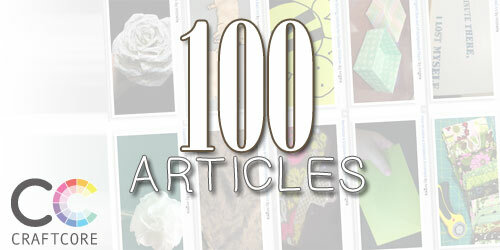 These popular wedding pins have been repinned hundreds if not thousands of times. These ideas are beautiful and clever, but no longer unique due to overexposure. 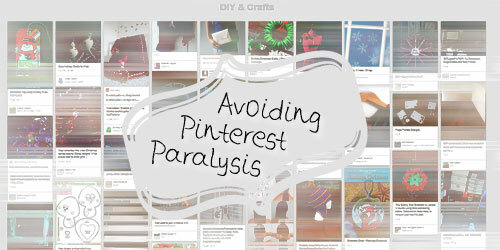 Don’t let yourself become intimidated or limited by things you see on Pinterest. You don’t necessarily need to see finished projects for inspiration. Take some time away from your screens and get inspired by the raw supplies you have on hand. 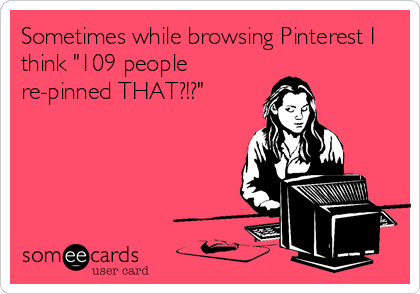 Remember that you were drawn to Pinterest because you are crafty; you are not crafty because of Pinterest.